Take some of those Legos, that are surely taking over your house, and make them into a lamp for a boy’s bedroom. 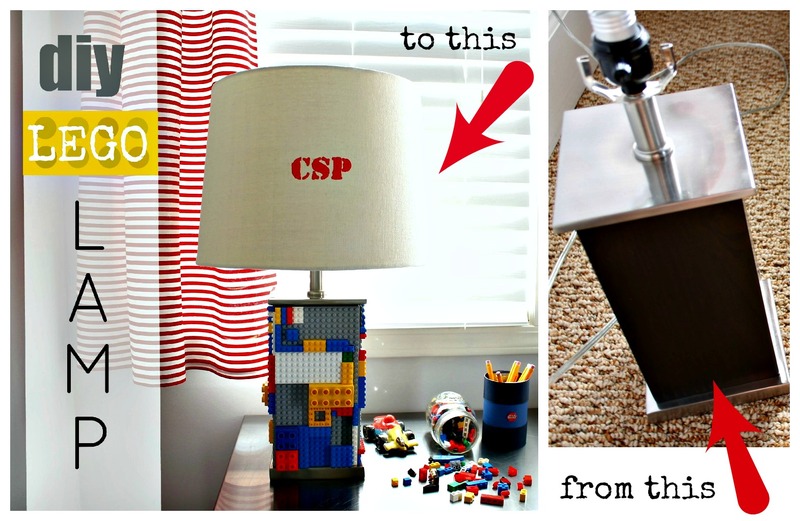 Any Lego loving boy would adore this lamp. This would also be a great craft to engage your children in. Boys and girls alike love building with Legos.